**Update 17 April 2019 – Today, US President Donald Trump vetoed the resolution from Congress to halt US support for the Saudi-led coalition in Yemen. The resolution passed both the House of Representatives (247-175) and the Senate (54-46) with bipartisan support. 15 March 2019 – On Wednesday, 13 March 2019, the United States (US) Senate voted 54-46 on a bipartisan joint resolution (S.J.Res.7) to halt support for the Saudi-led coalition in Yemen. The resolution – co-sponsored by Senators Bernie Sanders (I-VT), Mike Lee (R-UT), and Chris Murphy (D-CT) – has seen increasing support in both chambers of Congress to invoke powers granted under the War Powers Resolution of 1973. 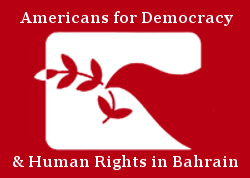 Americans for Democracy & Human Rights in Bahrain (ADHRB) welcomes the Senate’s strong response to human rights violations perpetrated by the Government of Saudi Arabia and urges the US House of Representatives to pass the joint resolution. However, we remain concerned for US President Donald Trump’s threat to veto the resolution if passed by both chambers of Congress, and call on both the Senate and House of Representatives to be prepared to pass a resolution by two-thirds majority. The Senate initially passed a similar joint resolution on 13 December 2018, when the Senate voted 56-41 on S.J.Res 54 in a rebuke of Saudi involvement in the war and crisis in Yemen. Originally introduced in February 2018, S.J.Res 54 similarly drew weight from the War Powers Resolution and saw renewed fervor amidst the failure of the US administration to take a strong stance on the murder of Saudi Washington Post columnist Jamal Khashoggi. Though seventeen Saudi individuals were sanctioned under the Global Magnitsky Act for their role in Khashoggi’s murder, the administration has ultimately failed to seek further accountability for the crime and to act on a CIA assessment citing the high likelihood of involvement by Crown Prince Mohammed bin Salman (MbS) in the journalist’s pre-meditated killing. Despite widespread support throughout Congress, S.J.Res 54 stalled in the House of Representatives – due in large part to hidden language in the 2018 Farm Bill introduced by former Speaker Paul Ryan (R-WI). While this prevented a vote on S.J. Res 54 in the House, a resolution to halt US support to the Saudi-led coalition in Yemen has found overwhelming traction in the House under the new control of the Democrats. On 30 January 2019, the US House of Representatives, led by Representative Ro Khanna (D-Calif), re-introduced a War Powers Resolution (H.J.Res. 37), which passed 248-177. Wednesday’s vote on S.J. Res 7 indicates that the measure will now move to the House of Representatives for a vote before coming to the President, should it see the same strong support as it did earlier in 2019. As fervor has grown amongst US lawmakers for a rebuke of Saudi Arabia, some allies of the Trump administration in Congress have sought to defend the administration’s approach, including Senator James Risch (R-ID). Nevertheless, much of Congress has remained indignant as administration officials and allies have continued to fail to find accountability for Khashoggi’s murder and for Saudi Arabia’s perpetuating abuses in Yemen, with S.J.Res 7 marking the second instance in which senators have voted in support of an end to US support for the Saudi-led coalition in Yemen.. Despite evident support from policymakers, concern remains for the future of the joint resolution as President Trump threatens to veto the legislation if passed by the House of Representatives. Under these conditions, there remains a possibility that the joint resolution may still be implemented under a two-thirds majority vote of both chambers of Congress to override a veto from the President, but Republican control of the Senate holds the potential to jeopardize the resolution in such a case. The vote on S.J.Res 7 demonstrates bipartisan support from lawmakers for a re-evaluation of the US-Saudi relationship, serving as a rebuke of the White House’s approach to the murder of Jamal Khashoggi and ongoing US involvement in the war in Yemen. ADHRB welcomes the continued support of the US Senate to halt support of the Saudi-led coalition with the passage of S.J. Res 7, but remains deeply concerned for the future of the measure. We urge the House of Representatives to again pass a resolution invoking the War Powers Resolution of 1973, and further call for both chambers in the US Congress, especially Senate Republicans, to prioritize human rights and pass the resolution by two-thirds majority vote should the President veto the measure.